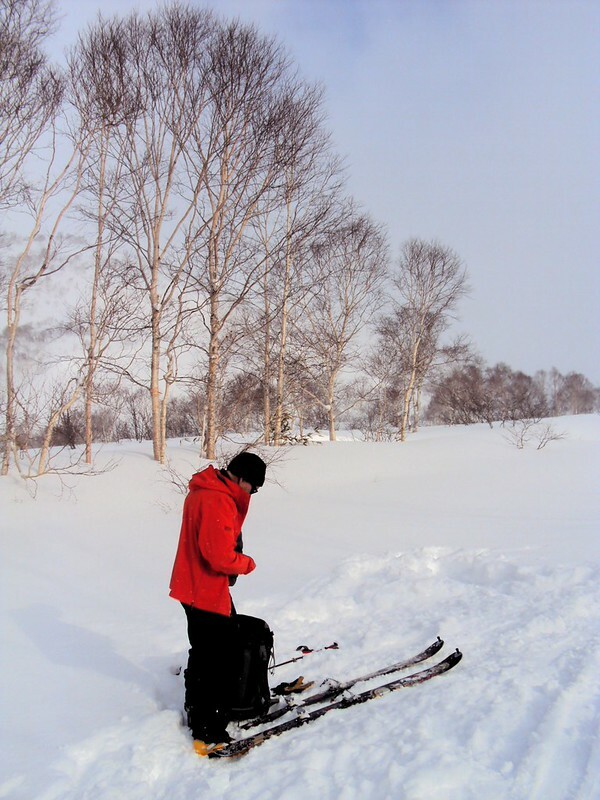 Skiing in Hokkaido, finally! About 15 years ago in Boulder, Kurt introduced me to Keiichi, a visiting astrophysicist from Japan. We skied together that season in the Colorado backcountry on horrible snow. Keiichi was the best telemark skier I had ever skied with and talked about the great conditions for backcountry skiing in Hokkaido. 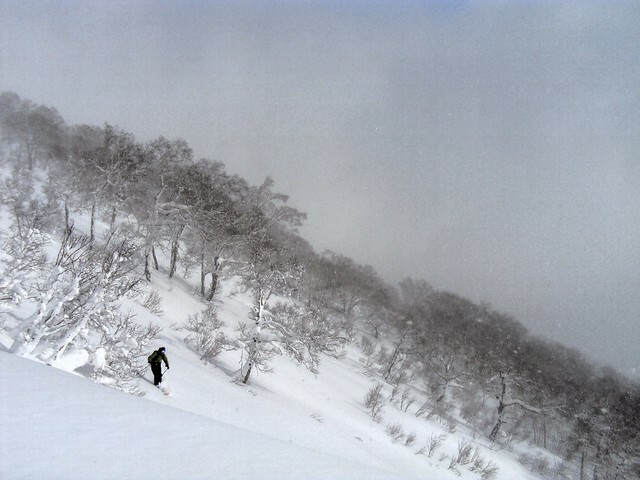 “If you like powder skiing, you need to come to Hokkaido,” he said. “It snows every day in January,” he said. Surely, he’s exaggerating, I thought. Then I checked weather averages for Sapporo. Indeed, for January the average high temperature is -2°C, and the average number of days with precipitation in January is 30. It really does snow every day in January! I could hardly say no when Peter offered for me to join their trip to Hokkaido this year. One thing that I hear a lot traveling is that you should have been here yesterday. Usually I don’t buy it, but it’s probably the case for skiing in Hokkaido. For one thing, this year we got into some of the unusual/extreme global-warming weather. Seems like we’re going to have to start considering extreme weather normal at some point. It had rained in Hokkaido just before we arrived, leaving an icy layer in the snowpack, and this year there was less snow and more wind than normal. The wind meant that everything above treeline was pretty scoured. Some years you can ski above treeline. We never did. 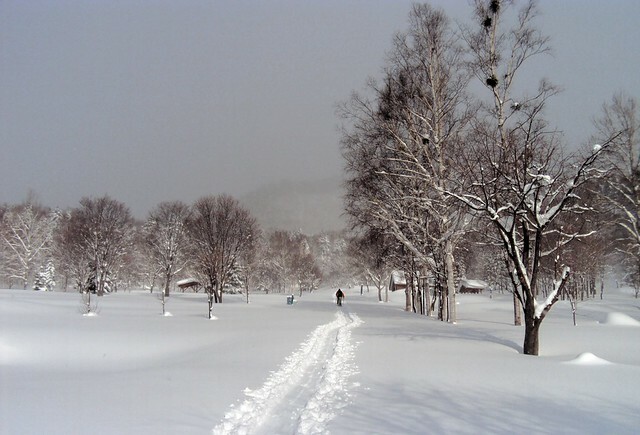 “Less snow” for Hokkaido, however, was still more snow than I’ve ever seen!! 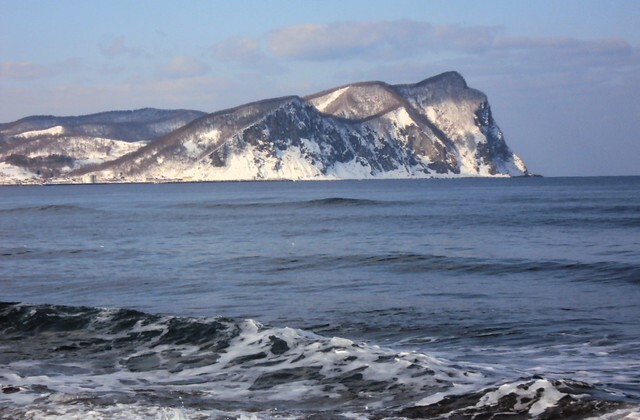 Another reason that I sort of wish I had skied Hokkaido years ago was that it’s now a very popular destination internationally. 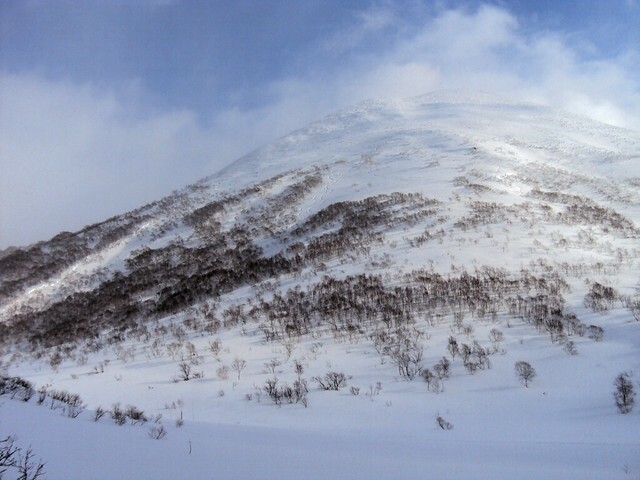 When Keiichi used to fly from Tokyo for weekends, it was only Japanese on the mountains. 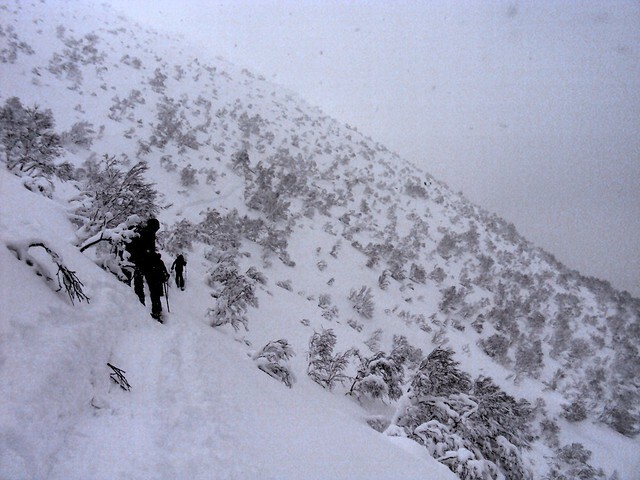 Now we had crowded days in the backcountry where we didn’t see a single Japanese skier. 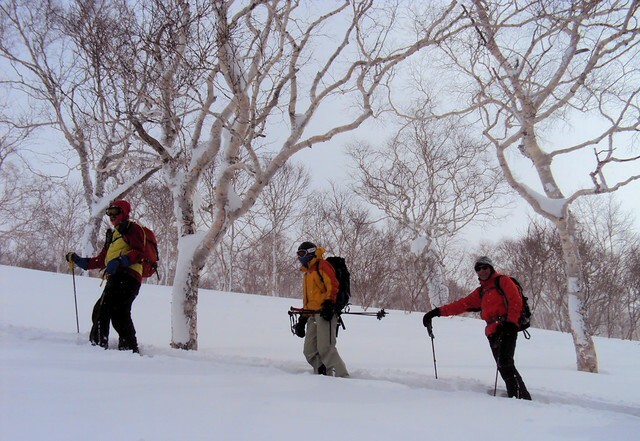 Prices have gone up, there’s pretty intense competition for fresh tracks in the backcountry, and now 90% of the skiers in the Niseko area are foreigners. Locals are “not comfortable” with this or even “annoyed” or worse. I totally understand this, but the world is becoming a village, and Japan cannot stay isolated. 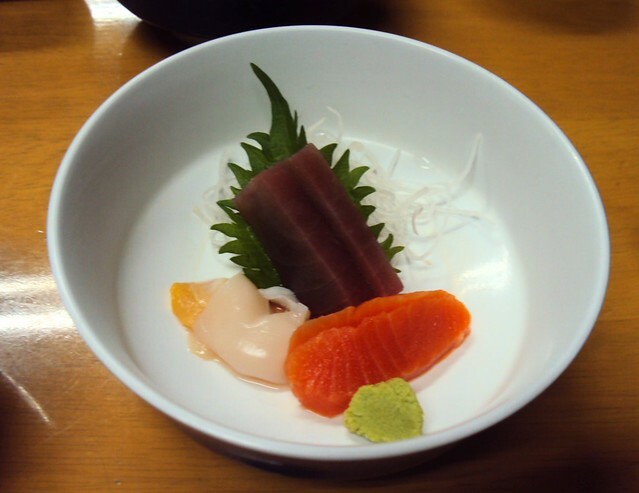 In addition to the incredible powder skiing, I wanted to come back to Japan for the food and for the onsen (public baths). The baths are the best in the world — clean, with lots of tubs of hot water, cold water, bubbles, various minerals. There was usually an outside section where we’d sit and soak with the snow falling on us. The rules are quite strict but easy to follow. You change in one room and enter the bath area naked with only an onsen towel. In the first bath area you wash yourself thoroughly, soap and shampoo, before going to the communal tubs which are kept quite clean. I was very annoyed in one onsen to see foreigners with beers in the baths. It’s that kind of disrespect that must really anger the Japanese. Anyway, here are some photos from our first week in Japan when we skied in the Niseko area (Annupuri, Iwaonupuri, Nitonupuri, and Mt. 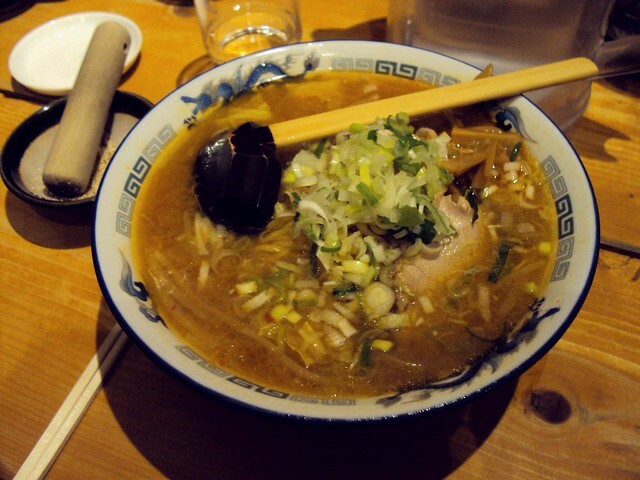 Yotei). 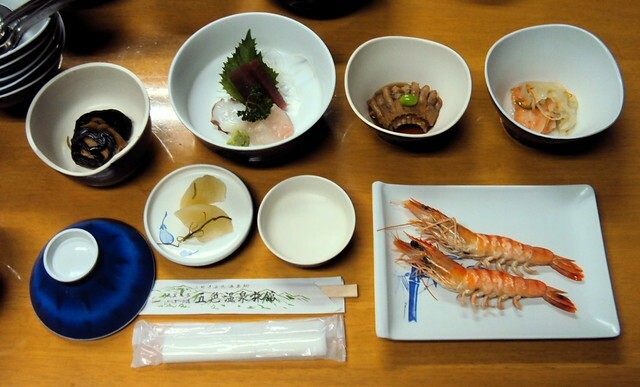 We stayed four nights at Goshiki Onsen and two nights at Ezofuji Hut near Kutchan. It snowed 40cm our first day, 40cm our second day, 10cm/day after that for a few days. Indeed we had been in Japan a full 10 days by the time there was a night when it didn’t snow at all. 24 hours without snow? In three weeks I think that happened, but I can’t remember for sure. And this year was a low snow year! 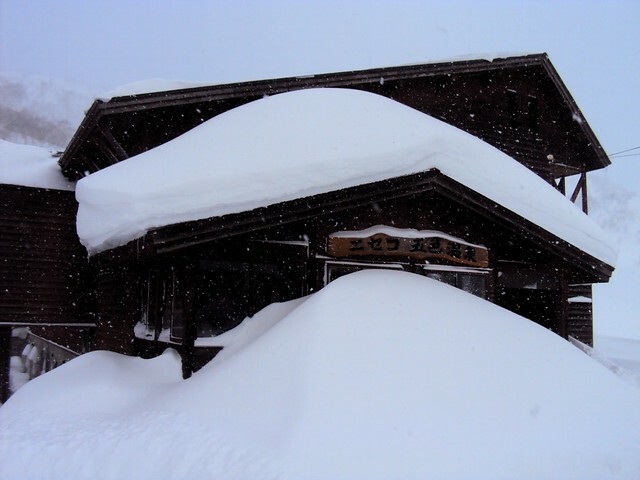 This entry was posted in Japan, Skiing and tagged Ezofuji Hut, Goshiki Onsen, Iwaonupuri, Kutchan, Mt. 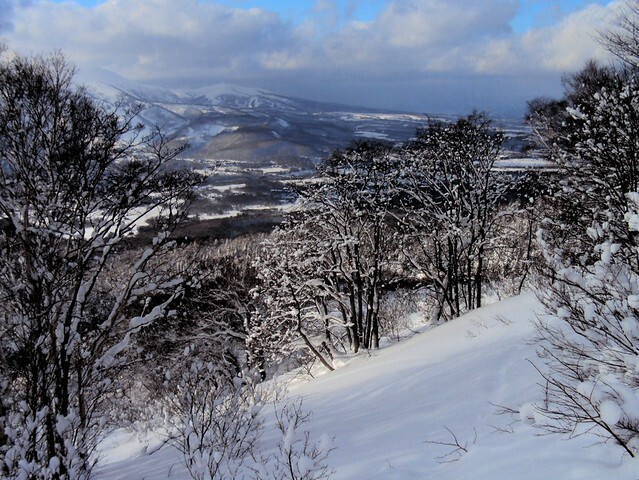 Niseko Annupuri, Mt. 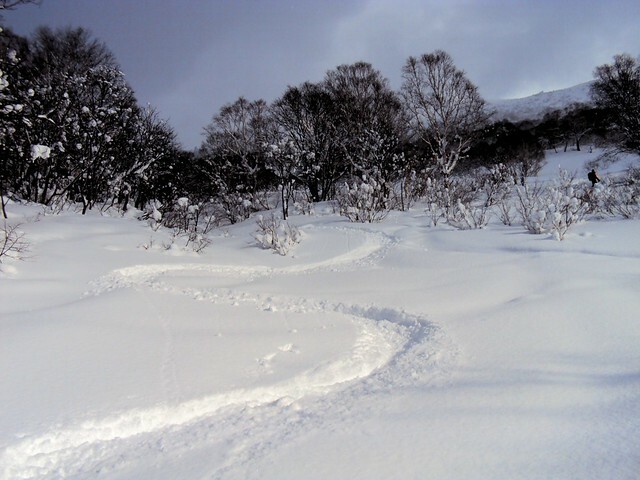 Yotei, Niseko, Nitonupuri. Bookmark the permalink. You sure get around, Bryan! Nice pictures as always and always fun to read, too!